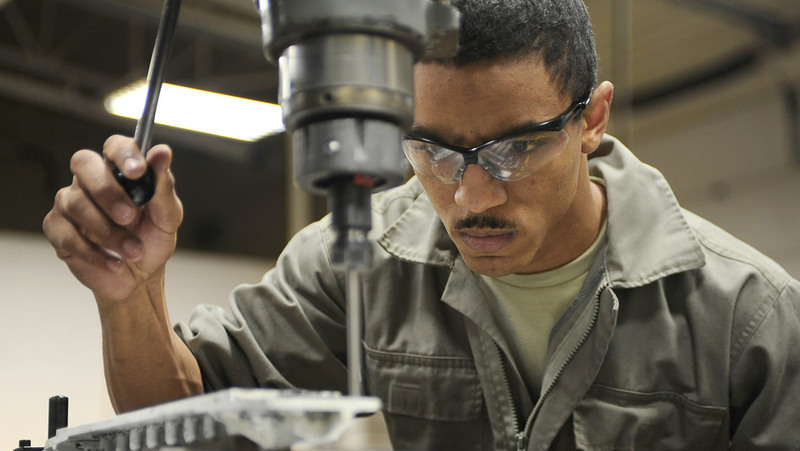 These careers inspect, operate, or test machinery or equipment to diagnose machine malfunctions. Dismantle machines, equipment, or devices to access and remove defective parts, using hoists, cranes, hand tools, or power tools. Perform routine maintenance, such as inspecting drives, motors, or belts, checking fluid levels, replacing filters, or doing other preventive maintenance actions. Diagnose mechanical problems and determine how to correct them, checking blueprints, repair manuals, or parts catalogs, as necessary.